Marquetry (also spelled as marqueterie) is the art and craft of using pieces of timber to a structure to form decorative patterns, designs or pictures. The cutting of curves in timber traditionally cut by hand is now mainly cut with a laser. The selection of different species of timber to form a pallet of color used to create interesting designs and patterns. 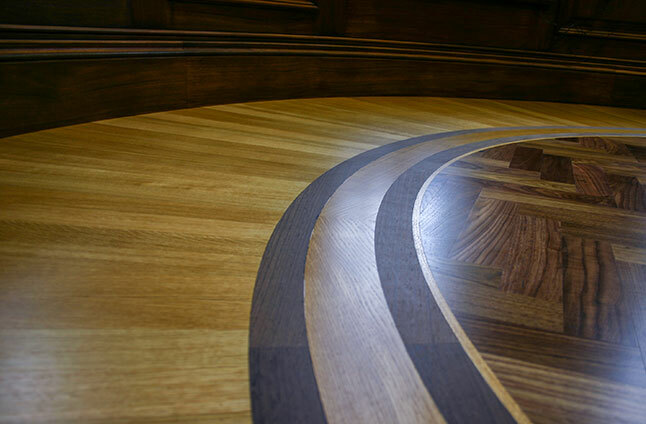 Marquetry is distinct in that it includes curved cuts, whilst parquetry is made of straight sided timber.